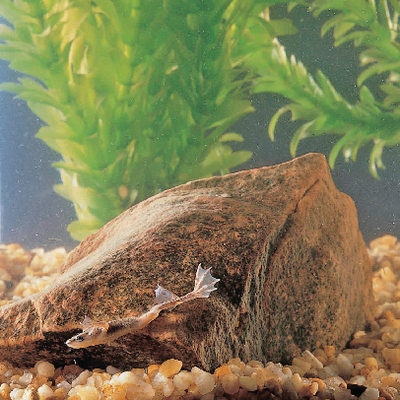 These small aquatic amphibians breed readily in a freshwater tropical aquarium. They feed on Daphnia, and small earthworms. (available separately). Specimens are approximately 1 to 1.5" in size.